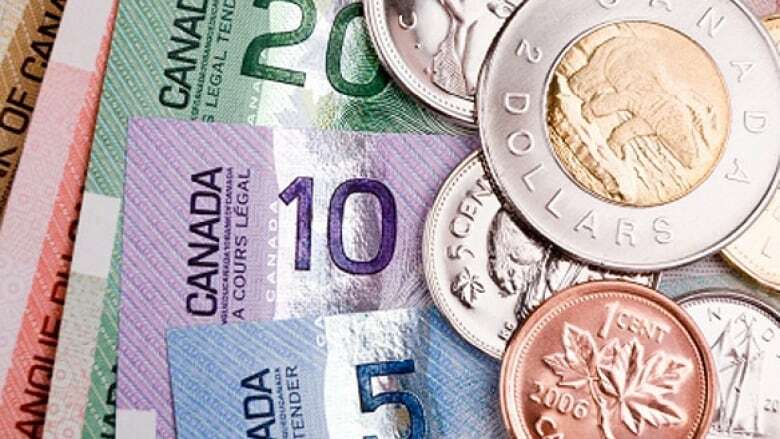 Canada is vulnerable because of its high levels of household debt and could face a crisis if the economy takes a sharp downturn, a new report from McKinsey Global Institute says. Canada is vulnerable because of its high levels of household debt and could face a crisis if the economy takes a sharp downturn, new report from McKinsey Global Institute says. McKinsey studied debt levels in 22 advanced and 25 developing countries for its study titled Debt and (not much) deleveraging, released today. It concluded household debt levels in Canada are higher than those in the U.K. and U.S. during the peak of the financial crisis in 2007. McKinsey estimated the debt-to-income ratio in Canada at 155 per cent for 2013 and said it had risen by 22 points since 2007. These figures suggest potential risk, but do not signal imminent crises, according to Susan Lund, a partner at the McKinsey Global Institute in Washington, D.C.
"It's significantly higher than the U.S., which is now under 100 per cent, but it's not considerably different from countries like Australia or Sweden," Lund told CBC News. Canada is lumped with six other countries that also experienced rising household debt – Netherlands, South Korea, Sweden, Australia, Malaysia, and Thailand. The question of whether high household debts would tip Canada into crisis rested on several factors, including the wider economy and the ability of lenders to assess credit risk. If the people who borrow and have a lot of debt are high-income earners, then there is less risk, Lund explained. The current low interest rates make the cost of servicing our debt quite low, Lund added. "The low interest rates we see today are very helpful. We also point out that the Canadian household debt service ratio is not very high because of low interest rates," she said. The report points to the role of rising housing prices in increasing consumer debt loads, highlighting the rapid rise in real estate prices in countries such as the Netherlands and Canada, which are highly urbanized. Sal Guatieri, senior economist at BMO Capital Markets is dubious about McKinsey’s analysis that Canadian debt levels are higher than those of the U.K. and U.S during the peak of the financial crisis. "It's true our debt-to-income ratio is above the current U.S. ratio of 136 per cent, but that just means U.S. households aren't as indebted as we are now. It doesn't mean we've hit the debt wall that Americans ran into, he said. Nor is Canada, which has extremely low mortgage default ratios, experiencing the kind of loose credit policies that led to the subprime loan crisis in the U.S. Rules for mortgage lending have been tightened three times in the past three years. Real risk is only likely if there are significant job losses across Canada in a short period, which results in mortgage defaults, according to McKinsey. The falling price of oil and a slowing economy has the potential to kickstart a debt crisis. “A slowing economy and any kind of increase in unemployment makes it much more difficult for households to service their debt and they do it by cutting consumption in other areas, so that contributes to a further slowdown in GDP growth, so this is why high debt levels do create the potential for a drag on GDP and volatility,” Lund said. McKinsey points out that debt levels are rising around the world while economies remain moribund. Lund said Canada as a whole is not over-leveraged compared to other countries. "There is a bigger story about Canada in terms of debt which is very positive. When you look at debt of corporations, government and households put together, Canada has one of the lowest debt-to-GDP ratios," she said. The McKinsey Global Institute is the business and economics research arm of consultancy McKinsey & Co.